At English42 we are great lovers of how language works – especially, of course, English. So we spend a lot of time showing our students how sentences are made. Basically, a sentence can be short or long but, if it has the correct structure, it can be very effective. 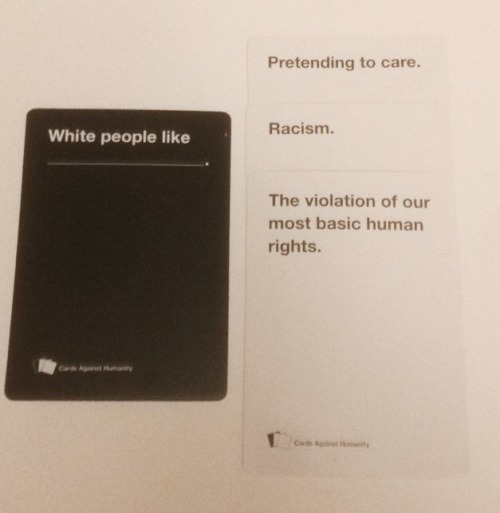 This is why we are huge fans of a game called “Cards Against Humanity”. With some of the funniest Cards Against Humanity results, we’re going to show you how sentences with clever structures can also be hilarious. So, the idea of the game is to finish or complete a sentence. One person has the sentence on the black card. Then, the other players use the nouns and phrases on their white cards to complete the sentence in the funniest way possible. In the end, the person with the black card decides which result is the funniest. As you can see, some of the combinations on Ellen’s show were pretty funny. But we have trawled through the internet to bring you the 14 funniest Cards Against Humanity results. A big problem many people face with Cards Against Humanity is that every combination is funny. And you can only choose one! Celebrities are often featured, and they can make some great jokes! But then again, white people and men get a hard time too, which is fair enough – and it shows the great equality of the game!